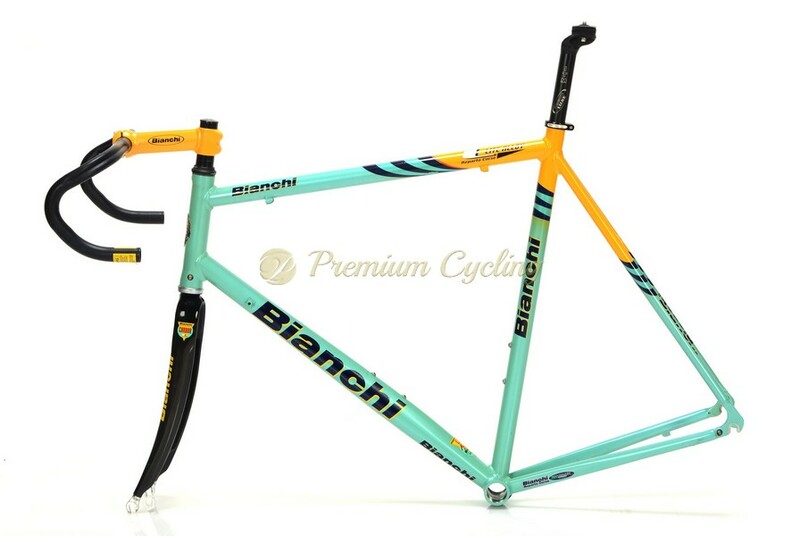 Bianchi’s Reparto Corse (Bianchi’s Race Department) facility hand built frames for their top riders (Marco Pantani) and for team Mercatone Uno sponsored by Bianchi. Their model Mega Pro was made of exclusive set of Plain Gauge Aluminium 7005 heat treated shaped tubes. Aluminum was the material of choice back then, even some teams rode full carbon bikes. Here we are offering this iconic Bianchi frameset which dates back to 1999 and comes with headset, stem, handlebar, seat clamp and seatpost. 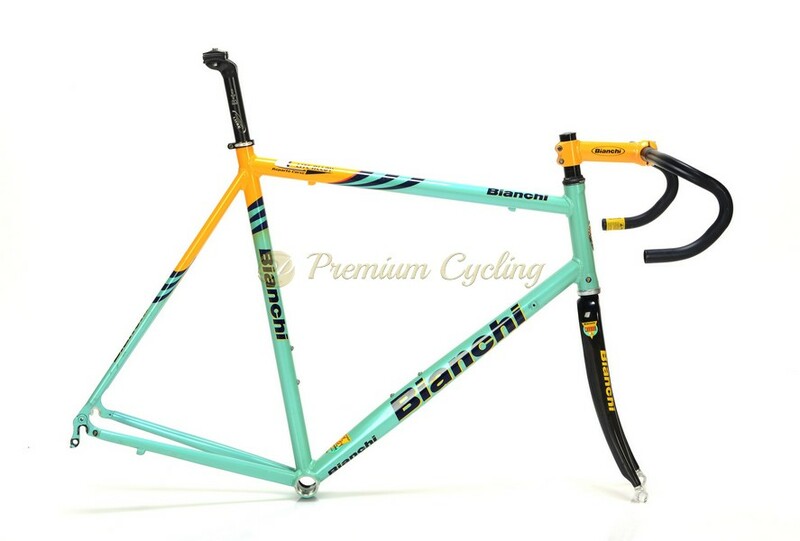 For all Bianchi fans. Fair price. Condition: Used, but good condition, low mileage. The frame has no cracks, dents and is not bent. Original paint and decals.